Marshawn Lynch latest — retirement on the agenda? Ian Rapoport — one of the more active reporters when it comes to this whole Marshawn Lynch saga — had a fresh update today. It wouldn’t be a NFL Sunday without another chapter in this story would it? The latest is he could retire rather than continue his career. This won’t be a shock to Seahawks fans. 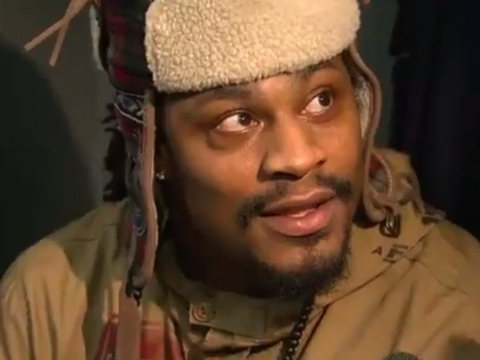 It was revealed after the Super Bowl that Lynch had told teammates he would consider retiring if Seattle won a title. They did — and he didn’t quit. Now we get this latest nugget. The possibility Lynch might just call it a day. We’re all left guessing what the future holds. As much as you’d like to shelve this subject until January — it is just too significant to avoid. The Seahawks are as much about Marshawn Lynch as they are Richard Sherman, Russell Wilson, Earl Thomas or Kam Chancellor. It’s hard to contemplate a future without Lynch. As the 2014 season has shifted in Seattle’s favor, Lynch has come into his own. Should we be prepared for some kind of power struggle? Will Lynch use the threat to retire to either force a trade (probably to a specific team) or a new contract if Seattle doesn’t grant his release? Are the Seahawks willing to increase his pay to keep him for at least another year? Are they even interested in that — given Lynch is getting more banged up and will turn 29 next year? Can they afford to meet whatever demands he may have considering they have to pay Russell Wilson and Bobby Wagner (and others too) during the next off-season? The 2015 draft will be loaded at the running back position. For the first time in a while we might see multiple runners go in the top-40. Todd Gurley’s ACL creates some mystery over his stock, but Melvin Gordon, Tevin Coleman and T.J. Yeldon should go relatively early. The Seahawks could still draft Lynch’s eventual replacement next April. But removing him and creating a new hole you eventually fill early in the draft seems like a sideways step at best. Seattle is right in the middle of a Super Bowl window. Next year they can come back even stronger by adding a couple of pieces to the defensive line, getting healthy and finding a big target. I guess whatever will be will be — we know this franchise won’t dump Lynch just to save a few bucks. It’s encouraging that Pete Carroll felt the need to defend his running back amid all the recent attention over his lack of media skills. Is this a positive sign? It’s not like he’s an issue in the locker-room like Percy Harvin — his teammates all speak highly of his presence. This appears to be about money and respect. Harvin got paid. Richard Sherman got paid. Russell Wilson is about to get paid. Beast Mode wants his share of the wealth. Can you blame him? At the same time, the Seahawks have to manage this like a business. They have to play the market. Maybe there’s a middle ground? Or maybe Lynch will retire? Or join another team? Stay tuned for next weeks inevitable update. In the meantime, take a look at Tevin Coleman (RB, Indiana) if you haven’t already. Melvin Gordon and co get a lot of love. Coleman deserves more. Ohio State defeated Michigan as expected, but I wanted to watch Devin Funchess today. Seattle is crying out for a big target. I’ll have a post on Dorial Green-Beckham on the blog either tomorrow or Monday. If he doesn’t declare — or if the NFL is put off by his back-catalog of problems — Funchess is pretty much the only other draft option if we’re talking about an early pick. It’ll be a travesty if Amari Cooper doesn’t go in the top 10 — putting him out of reach. DeVante Parker and Kevin White are both in the 6-2 range without great size. White in particular is a tremendous competitor. But Seattle is surely looking for unnatural size? Someone who can act as a pure possession receiver and a genuine red zone problem. They don’t have to use a first round pick — but they might want to. If Marshawn Lynch remains and with the defense suddenly back to its best, they might feel like it’s the biggest off-season need. We’ll see. Duke’s Issac Blakeney is a good mid or late round alternative. There are others. But what about Funchess? Today was a much more impressive display. It was his final opportunity to create an impression before inevitably turning pro. And on this evidence you can make a case for the Seahawks looking at him. Initially he was used in the short passing game — taking a wide receiver screen for five yards before converting the third down on a short inside route on a quick throw. A lot of the shorter stuff opened up the chance to take a shot with 3:15 left in the first quarter. Funchess ran a post and on play action from the shotgun, Devin Gardner threw downfield. It was single coverage and a classic 1v1 over the middle. The pass was slightly underthrown but Funchess boxed off the defender, gained position and just went up to get the football. This was all about size and strong hands. The corner couldn’t get around Funchess’ frame to get near the ball. He had no chance to out-jump him either. The Seahawks don’t have anyone who can do this at the moment. The play went for 45 yards (you can see the catch here). After that he generally worked the sideline effectively. With 13:37 left in the second he gained separation on an out-route to the left. Gardner threw a low, ugly pass. Funchess plucked it off the turf again showing control, strong hands and some athleticism to get his big frame down low to make a difficult grab. First down. On the very next play he took another WR screen for six yards. With 10:17 left in the third he again gained separation on an out-route to make a 15-yard catch, just managing to get a toe in-bounds. And with Michigan chasing a lost cause with 2:57 left in the game, Gardner threw a late pass that should’ve been picked. The corner had position to make a break for the football. Funchess turns without leverage and somehow takes the ball away from the defender. It was a tremendous catch. Big mitts, strong hands. Just took the ball away. It showed he can be more than just a big target — he has some natural ability as a catcher. Funchess’ final stat line was seven catches for 109 yards. He also drew a holding call on a route into the endzone. The key thing is — he’s open even when he’s not. And that’s what the Seahawks lack right now. Someone who you can deliberately overthrow. Someone who will go up and get a pass. A receiver who can use his body to gain leverage and hold position. Someone who doesn’t need to rely on separation or the perfect pass to make a play. Someone who can win 1v1. I’m not blind to the issues either. He has been inconsistent. You want to like him more than you actually do. You’re not drafting Megatron here. You’re not even drafting Vincent Jackson. But the Seahawks need a redzone threat and someone with this kind of size. They know it too. So do you accept some of the issues to fill a need? Maybe. It’s not an overly ‘Seahawky’ pick but maybe that’s why they’ve not been able to solve this problem? Funchess could be 2010 Mike Williams for a few years. That wouldn’t be such a bad thing. It’s difficult to judge his stock. He played tight end until this year and many believe he’ll return to the position in the NFL. The inconsistent play is on tape — but how much of a pass does he get for the constant changing of offense during his time at Michigan? Or the struggles of Devin Gardner and the team in general? More importantly — how will he perform at the combine? Is he capable of hitting the early 4.6’s at that size? Kelvin Benjamin had a 4.61 at 240lbs. Benjamin is perhaps a decent comparison. He was a more natural receiver, he had a little nasty to his game. But he too was inconsistent. Funchess hasn’t had the chance to play on an unbeaten National Championship winner with a Heisman winning quarterback. Would he put up Benjamin-type numbers at Florida State? If he blows up at the combine he has every chance to go early, just like Eric Ebron this year. If he’s simply decent, he could be available in the second round. Would they take a chance? Perhaps — depending on whether they find their answer in free agency. If they’re able to bring in a Julius Thomas, however unlikely that seems, this becomes a moot point. Jordan Cameron’s on-going concussion problems could put the Browns off, but will it put off other suitors too? And with so many defensive line options set to hit the market, Seattle could be in position to take a chance on a big target. It might be time to just take the plunge, especially if they really do find a way to live with Marshawn Lynch (they have to, surely?). Dorial Green-Beckham is on another level in terms of raw talent. But Funchess comes without all the baggage. Eventually Seattle needs to take a chance on a big receiver or tight end. They’ve skirted around it so far, taking chances in the later rounds. And yet it would add so much to the team. — Bud Dudpree (DE, Kentucky) is such a fantastic prospect. A big-time character guy, he’s a terror rushing the edge. Today he had a tremendous sack/fumble leading to a touchdown for Mike Douglas. Dupree’s been the heart and soul of the team in Kentucky for several years. He’s going to be a first round pick and possibly an early one too. — Joey Bosa (DE, Ohio State) is going to be a high pick in 2016. He had another big day against Michigan. Big time pass rush prospect with great size too. — La’el Collins (T/G, LSU) had a tremendous game in a victory over Texas A&M on Thursday. Time and time again he moved people off the ball in the running game. I think his future at the next level will be at guard, but he’s going to be a top, top player. For me he’s a more exciting player than Chance Warmack who went in the top ten as a pure guard. — I like Melvin Gordon, but Indiana’s Tevin Coleman is right up there in the running back stakes. Today he had 130 more yards in a tough win over Purdue. It took him over 2000 yards for the season. Coleman might be the superior player. Might be. — Missouri’s Markus Golden is finally healthy and having a huge impact. We’ve been discussing him since last year — when he became the only player in 2013 to show up brilliant first round pick Ju’Wan James. In the last three games — all wins — he has 6.5 TFL’s, four sacks and two fumble recoveries. He’s the complete package — size, speed, the ability to get off blocks and work against the run. He’s a beast and should be a first round pick. That was a complete demolition job. I’m not averse to admitting when I’m wrong. I pondered yesterday whether the Niners were better placed to deal with a loss tonight. They have a vanilla schedule the rest of the way — starting next week at 1-10 Oakland. I thought whatever happened, they still had a chance to keep moving. Not after this wretched display. This is a broken team. The kind you expect to see when a coach is on the way out. The Seahawks have beaten Jim Harbaugh’s Niners handsomely in the past, but never in their own backyard. Never with this level of comfort. They simply had no answer. It was embarrassing to watch a once potent offense ‘dink and dunk’ their way to Colin Kaepernick’s second interception. Who is this? What have you done with the 49ers? Then I realized — this is what they’ve become. That’s the owner of the franchise there, taking to Twitter minutes after the game finished. You know something’s amiss when that kind of apology is necessary. Coinciding beautifully with the turmoil in San Francisco is the re-emergence of Seattle as a genuine contender. On the evidence of the last two games — the Championship Seahawks are back. The defense is playing lights out. The offense is moving the ball enough. The key players from last year are making big plays. It’s clicking at the best possible time. They still have to go to Philadelphia next week — a 9-3 team who rolled over the Cowboys today. They too will feel they’re moving in the right direction. If the Seahawks can go there and win, it’d be a huge statement. That’s a discussion for another day. Let’s discuss the positives from this one tonight. — Russell Wilson was at his elusive best. This was a classic performance — extending plays, taking zero risks and making chunk yardage with nice improvisation. 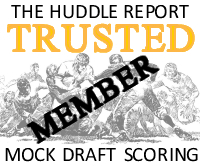 Tony Moeaki is a real find and Luke Willson had another good performance. Marshawn Lynch had over 100 yards. The offense is doing what it needs to do right now. Wilson is the perfect quarterback for this team. — If anyone ever wondered what the point was of Richard Sherman’s, errr, “performance” after the NFC Championship game, this was it. Hardly any quarterbacks have tested him this year. And in the biggest game of the season, Kaepernick couldn’t help himself. He had to chance his arm. How could he let that post-game interview go unpunished? The result tonight was five throws at Sherman, no completions and two interceptions. The only touchdown was a result of Sherman’s first pick — masterful technique on the sideline vs Brandon Lloyd. Has one piece of goading ever been so effective? Imagine the frustration this must bring to the Niners. Byron Maxwell also only allowed one completion for seven yards. — The score read 19-3 for the second week in a row. And for the second week in a row it could’ve been much more. A ridiculous flag on Robert Turbin negated a perfectly clean Paul Richardson touchdown. Seattle squandered a first and goal at the one-yard-line. It was a similar story last week. While the defense is coughing up only three points a game, it doesn’t really matter. — The penalty situation was incredible tonight. For the most part it wasn’t a refereeing issue. Seattle was very sloppy overall, giving up too many neutral zone infractions and needless holds. The call on the Richardson TD, however, was incredibly harsh. Fourteen penalties is way too much and can act as an equalizer on a night where you’re the better team. They have to be better here. — The pass rush was rock solid again. Michael Bennett, Cliff Avril and Bruce Irvin all had sacks. The most impressive thing might be the interior rush. Jordan Hill had perhaps his best game as a Seahawk. DeMarcus Dobbs was also terrific against his old club. Kaepernick never ever settled and looked as flustered here as he usually does in Seattle. That was a big key to the game that we discussed yesterday. He finished with a rating of 36.7 and 121 passing yards. The Niners also had just 64 rushing yards — highlighting the importance (again) of Bobby Wagner’s return. — Seattle also faced some familiar problems. They were 1-5 again in the redzone and just 5-14 on third down. When you’re dominating like this in back-to-back weeks and not seeing an improvement, this is probably an issue that won’t be solved until the off-season. It’s a big deal that Seattle is winning emphatically despite those numbers. The Seahawks move to 8-4. I can’t imagine San Francisco will play this badly in Seattle two weeks on Sunday. But what a satisfying Thanksgiving for the 12th Man. — San Francisco’s remaining schedule after this game includes: Oakland (A), Seattle (A), San Diego (H), Arizona (H). Even if they split with the Seahawks, they have a decent shot at 11-5. Seattle’s run includes: Philadelphia (A), San Francisco (H), Arizona (A), St. Louis (H). It’s going to be tough to catch the 49ers — let alone the Cardinals — without a win on Thursday. In fact I’d go as far as saying the 49ers would be in a better position to cope with a home defeat than Seattle would a road loss. San Francisco gets a rematch in Seattle, two home games to finish and the only other road game is against the 1-10 Raiders. If the Seahawks lose tomorrow, they might have to beat the Eagles and Cardinals on the road to make the post-season. Those two teams are 12-0 combined at home this year. — The Seahawks are having to live without Max Unger and Brandon Mebane but injuries might be hampering San Francisco more at the moment. They’re without their starting center (rookie Marcus Martin currently features) and Jonathan Martin is the right tackle in place of Anthony Davis. On defense they’re fielding two impressive stand-in middle linebackers — but how can you not experience a drop off when you lose Patrick Willis and Navarro Bowman? What’s more Aldon Smith has only just re-entered the fray and Glenn Dorsey remains out too. In comparison, Seattle’s as healthy as it’s been in a long time. — San Francisco has done a fantastic job containing Russell Wilson in every game since 2012. Here are his rushing totals in every meeting with the Niners: 2013 NFCCG (0 yards), 2013 road (2 yards), 2013 home (33 yards), 2012 road (10 yards), 2012 home (29 yards). No team has done a better job keeping him isolated in the pocket, taking away the read option looks and preventing him finding space on the bootleg to extend plays. There are rare instances where he’s succeeded (eg — the evasive scramble before a downfield bomb to Doug Baldwin in the NFCCCG) but at Candlestick they’ve particularly done an exceptional job keeping him in the pocket. The Niners seem to struggle against a perimeter attack and Seattle can work throws to the outside and use their tight ends over the middle with Bowman and Willis both absent (both excellent in coverage). But it’ll be a job well done if Wilson continues his terrific year running the ball on Thanksgiving. — The red zone’s been an issue all year for Seattle. The Seahawks lost in San Francisco a year ago because of this problem. With the game evenly poised, Golden Tate ran back a long punt return deep into 49er territory. Seattle went conservative on the play call — two Lynch runs up the middle and a soft Wilson bootleg to the left with Kearse running to the corner of the endzone (a play that might as well be called ‘Spider-2-Y-throw it away’). They kicked a field goal offering San Francisco the chance to drive for the game winning kick themselves. A touchdown would’ve made life interesting. Even in the NFC Championship game — Seattle’s failure in the red zone prevented a fourth quarter waltz (although ‘the tip’ was more entertaining). The Niners average 21.7 PPG this year. In their last two home games they scored 17 and 10 points against Washington and St. Louis respectively. In four defeats Seattle averages 22.5 PPG. In seven wins they average 27 PPG. It could be as simple as this — high 20’s wins it, low 20’s doesn’t. That was the case in KC — even with the Chiefs destroying the Seahawks with the run. — Pete Carroll came out fighting this week. He didn’t pull any punches when referring to the number of flags his team has received recently — even making further reference to how penalized USC were after their first National Championship under his leadership. Last year penalties significantly hurt the Seahawks in San Francisco. Richard Sherman suffered a ticky-tacky call to convert a big third down. Michael Robinson’s phantom ‘hands to the face’ penalty turned a big run for a first down by Marshawn Lynch into a 2nd and 25. Jeremy Lane was also bizarrely flagged on a special teams play for a good block. The Seahawks are averaging eight penalties a game — good for 4th most in the league. The Niners aren’t far behind with seven flags per game. Penalties could be a big factor again tomorrow. — Colin Kaepernick loves to throw to the perimeter. They basically ran the same concept against Washington last weekend and it cropped up in the Seattle game last year. Anquan Boldin runs a very simple 6-7 hitch and Kaepernick does a good job delivering the ball on time. It’s harder to defend than you’d imagine — the timing between QB and receiver is excellent. When the 49ers keep it simple like this, Kaepernick thrives. He has terrific arm strength and he’s not inaccurate. Throw in some running plays and his ability to avoid pressure and he really is “Great with a capital G”. The Niners did a good job at Candlestick keeping things in control. The games in Seattle were different — Kaepernick faced pressure and was unable to go to his first or second read. He runs with the ball loosely until he decides to tuck and run. We’ve seen him fumble way too many times trying to avoid pressure. He also makes careless decisions under duress. With or without pressure — the stats speak for themselves. At Century Link he has a 2/6 TD/INT ratio. The Seahawks must rush the passer as well as they did against Arizona. — Is there any type of revenge factor at play? This is the first meeting since the NFC Championship game. It’s also the first meeting since Richard Sherman’s infamous post-game interview, the choking sign he made to Kaepernick and all the fuss that followed. It’d be tempting to go after Sherman. It could also be reckless. The first battle with Michael Crabtree will be interesting. — Let’s hope Aldon Smith doesn’t line up too often against Justin Britt. Nobody’s talking about it within the team, but Britt has struggled all year in pass pro. He misses Zach Miller’s support as a blocker. He regularly whiffs on assignments, makes the wrong decision or just gets beat. Smith is a phenom — a generational talent. Without all the off-field stuff he’d be well on his way to setting every pass-rushing record in the league. He is incredible. His get-off is so good half the time he looks like he’s off-side. You watch in slow motion and you realise how great he is. Add in his length, ability to disengage blocks and the speed he has to finish. He’s one of the greats. And he’ll eat Britt for lunch if they’re not careful. Missouri is a production line for defensive talent. A couple of years ago they gave the NFL Sheldon Richardson. Last year it was Michael Sam and Kony Ealy (wasn’t a fan of either, but still). Now it’s Shane Ray and Markus Golden. But it doesn’t stop there. Senior defensive tackle Lucas Vincent had a big day against Tennessee on Saturday — and so did redshirt sophomore Harold Brantley. Vincent is listed at 305lbs but looks a little bigger and played the nose. He was consistently breaking into the backfield, playing stout against the run and stood out just as much as the big name edge rushers. It’s worth noting the youth and experience of Tennessee’s O-line, but this was still an impressive performance. If the Seahawks are looking for depth on the D-line, Vincent is one to monitor. I’m not convinced Brantley will declare (it’s unlikely) — but he has a ton of momentum and could easily be a rapid riser. He’s got 4.5 sacks in his last seven games working inside. Brantley had a slow start to the year but it’s not a major surprise — he dropped to 275lbs during the off-season after suffering an illness. He’s back at the 290lbs range and he’s a fantastic interior pass rush prospect and a natural three-technique. He’s a little fleshy and could stand to tone up (and add core strength in the process) — but he’s young and has time. He took over the Tennessee game and acted as a real tone setter and compliment to Golden/Ray. Selfishly I hope he turns pro (wouldn’t be the first RS Soph to do so) because the potential here is through the roof. I still think Golden will ultimately be a better pro than Ray — but it’s close. After suffering with a hamstring issue earlier in the year, he’s back to 100% and back to his best. This was a relentless performance flashing everything you want to see from a prospective NFL pass rusher. He has the speed and athleticism to round the edge, he can disengage a block and fight to the QB. He has the strength to develop a bull rush over time and he’s comfortable stunting inside. He’s not a one-dimensional speed rusher and he just looks the part. In this game he had two sacks, a fumble recovery and six total tackles. He’s a monster — it’s staggering he doesn’t get more national attention. I’m going to keep bringing this up because it’s the best endorsement you can give the guy. I watched six Tennessee games last year to look at first round offensive tackle Ju’Wuan James. He had a brilliant 2013 season and deserved to go in the top-32 for sure. Only one player gave him a hard time. One player — and this is an offensive tackle playing in the loaded SEC. Markus Golden is that man. Remember this during the 2015 draft process. Golden is a top, top player. Ray has better production (13.5 sacks for the year) and gets a better press. The broadcast crew during this game were touting him as a top-five pick. There’s every chance he’ll perform well enough at the combine to go early and any team needing a pass rusher will get a good one if they select Shane Ray. I think he’s a little more reliant on get-off and speed — although he stunts inside just as well as Golden and he’s shown he can mix it up with his hands to get off a block. He doesn’t have the same natural length or size — he might be more of a liability against the run at the next level. Ray is a more explosive pass rusher, Golden is perhaps a more complete overall defensive talent. Both should go in the first round. If you get a chance to watch Mizzou’s D-line performance against the Vols — take it. This is a unit filled with talent. The Seahawks could do a lot worse than tap into the production line as they strive for greater defensive depth moving forward. Whether they attack a loaded draft for pass rushers will depend on their ability to spend in free agency. With players like Jabaal Sheard possibly hitting the market — not to mention a cluster of other big names — it might be a need they can address with a couple of veteran additions. If not — they’ll have options in April. If you get time check out Kentucky’s Bud Dupree — another good fit for Seattle and a player we’ve talked about a few times this year. Arizona State receiver Jaelen Strong receives a lot of attention on the outside as the junior is in the midst of a career campaign. Speak to scouts and you’ll get a different point of view. Many are concerned with his lack of speed, quickness and the struggle he’ll have separating at the next level. Several area scouts have stamped Strong as a third rounder based off the film and many grade Dres Anderson of Utah as a better receiver prospect for the next level. Sadly, there’s just not a lot to get excited about with this group of receivers. 2014 produced an incredible crop — from early picks like Mike Evans and Odell Beckham Jr all the way to the end of the second round with Jarvis Landry and even in the fourth with Martavis Bryant. Next year players might get overdrafted, because the depth and quality just isn’t there. At a time when Seattle is crying out for a difference maker at WR or TE — the draft might not provide a solution. I’ve mixed thoughts on Louisville’s Devante Parker. He gives off a bit of a diva vibe during interviews — but has no off-field red flags to speak of. He’s only 6-2/6-3 and 207lbs — he plays bigger than he actually is. He has a tendency to lose focus and make mistakes. He’s had some drops. And yet he’s had big games against good teams (and more importantly, good cornerbacks). ESPN’s Scouts Inc currently rates him as the #9 overall prospect. Maybe the best thing working in his favor is a competitive streak all good receivers need to have. He doesn’t suffer through a lack of belief. He’ll get after opponents. Nice guys generally can’t play receiver — not unless they’re built like Larry Fitzgerald. Parker has a shot — but at what point? Early first? Late first? Second round? After that, we could easily see Devin Funchess over-drafted purely based on his size/speed. He’s the closest thing to Seattle’s need for an athletic big man (6-5, 235lbs) — but there’s something so underwhelming about his play on the field. As fluid as he is running over the middle and exploiting a mismatch with a linebacker in coverage, he just doesn’t make that many great plays. He drops too many passes. He looks more like the next Jermaine Gresham than the next Jimmy Graham. The counterpoint to this is Michigan’s passing game has been horrendous for years. And that leaves Kevin White as the remaining likely first round wide out at this early stage. He’s in the 6-2 range and 211lbs so he’s not huge. He’s had a terrific year even if the production has tailed off in recent weeks. He’s competitive, he high points the ball tremendously. He’s been something of an emotional leader for West Virginia this year. I like him. He could be a Sidney Rice type player for this offense. But you just can’t help but think there will be better value at other positions in round one. 2015 doesn’t look like the draft to go after a receiver unless someone like Cooper falls into your lap or you truly believe in a White/Parker/Funchess. There are just too many good pass rushers, offensive linemen and yes — running backs — to go down this route (particularly if we really are witnessing the final few weeks of the Marshawn Lynch era). This was a thoroughly comprehensive 19-3 victory that feels closer than it was. Both teams left points on the board, but Seattle emphatically so. They dominated the field position battle in the first half and kept settling for three points. The red zone troubles reared up once more. But it didn’t matter. Everything else clicked. The Seahawks played a 9-1 team today fielding an exceptional run defense and an athletic, playmaking secondary. This was a fantastic win. — Russell Wilson was superb today. You don’t need to put up 400 yards to be praised as a quarterback. He was efficient. He never came close to conceding a turnover — an underrated key to the win. He was intelligent with the ball (the eye manipulation on the Ricardo Lockette bomb was exceptional) and made enough plays to win a game his team had to have. — The defense played at a 2013 level. Drew Stanton isn’t a good quarterback and Bruce Arians deserves a medal for getting this team to nine wins with the injuries they’ve endured. Yet this is still a Cardinals team that has been making big plays all year. Not today. Their biggest play was a pass interference call on Byron Maxwell. They had one drive at the end of the first half where they chipped away and got their only points on a field goal. The Cardinals had 204 total offensive yards and went 3/12 on third down. This was a complete shut down — no running room, no big plays. Seattle football. — If the pass rush plays with this intensity and productivity the rest of the way, the Seahawks can take on a rock hard schedule. Stanton was constantly under pressure and did well to avoid a few sacks. Cliff Avril had possibly his best game this season. Bruce Irvin and Michael Bennett also got involved. Seattle came into the day ranked 29th for sacks. They need this level of play to finish the year. — There was too much focus on Brandon Mebane’s absence last week at Kansas City. He was a key loss. But the bigger issue was the absence of Mebane AND Bobby Wagner. They didn’t clog up the middle of the defensive line or absorb many blocks. But too often K.J. Wright and Malcolm Smith made a bad read or didn’t wrap up filling the gaps. Arizona hasn’t run the ball particularly well recently, but Wagner’s return helped limit them to 64 total running yards. — Kam Chancellor and Byron Maxwell appear to be healthy. Throw in Wagner’s return and it’s no surprise that for the first time in a long time, the defense is back to its best. — Last year the Seahawks were beaten at home by Arizona. They took shots on offense and tried to beat the blitz by exploiting 1v1 coverage. Today they went away from that — and it was a solid gameplan. Early throws behind the LOS opened up the middle for the tight ends. They made safe throws and never allowed a big-play defense to do anything at the second level. Yes — there were frustrating moments in the red zone. No — I’m not saying it was a flawless performance. They left points on the field. But think about this — with a cleaner red zone effort this could’ve been a blow out. The offensive plan worked and they learnt lessons from the last meeting between the teams. — That said, the Seahawks still need to find an answer in the red zone with the personnel they have. Today they went 1/5. It’s been a constant thorn in the offense all season. Today it didn’t cost them a victory. Last week it did. In the three remaining road games (San Francisco, Philadelphia, Arizona) they will need to make every point count. — What play did you enjoy more? Cooper Helfet’s touchdown leap, or the body slam after the blocked punt to start the second half? And is this a sign of things to come for the offense (this year and beyond)? Helfet, Tony Moeaki and Luke Willson had more attention than the receivers. You have to wonder if they’d have done more of this earlier with a healthy Zach Miller and Anthony McCoy? — Seattle gave up seven sacks but let’s have some perspective. Firstly, that was a heck of a defensive line they came up against today. Secondly, some of the sacks were scheme issues or receivers just not getting open. The fourth sack by Calais Campbell came as Seattle tried to set up a long winded screen to Marshawn Lynch. You can’t do that against this defense. The fifth sack, on the very next play, saw Wilson in a clean pocket taking a coverage sack. The offensive line didn’t have a brilliant game — they were unusually ineffective in the run game. But neither is this performance worthy of three days talking about drafting for the OL in round one. They missed Max Unger at center. — Marshawn Lynch was in and out of the game today. Let’s hope this isn’t a big issue. He’ll be needed. — My draft takeaway today is — do we have to focus so much on SPARQ? Having watched Jarvis Landry for Miami today — there is still room for good old eye scouting. He looked sensational at LSU. He is sensational. Ultra competitive, a fantastic technician and exactly the kind of player Seattle needed to replace Golden Tate. Here’s the lasting image from today — a tired Calais Campbell on the sidelines with three minutes to go. He’s out of the game. He and his team resigned to defeat. Meanwhile Drew Stanton is getting looked at for an ankle injury and Logan Thomas is warming up. Last year teams came to Seattle to get beaten up. They nearly always lost their next game as a consequence. This, as they say, ‘was more like it’. Onto San Francisco. Both teams are 7-4. Arizona goes to Atlanta next week. Game on. Tevin Coleman is 6-1 and 201lbs. We’ve talked him up for a while now, but there’s no doubt in my mind he’s right up there with Melvin Gordon and Todd Gurley (who tore his ACL last week). The run in the GIF above is a 90-yard sprint against Ohio State. Look how he sticks his foot in the ground and explodes. In a losing effort (Indiana ran the Buckeye’s close today) he recorded 228 rushing yards on 27 carries and scored three touchdowns. That’s not playing with a brilliant offensive line like Gordon. That’s not playing against an over-matched opponent (again, like Gordon vs Nebraska). Coleman can flat out play. He’s a stud. He’s making things happen on a weekly basis for the Hoosiers. For the year he has 1908 rushing yards and 15 touchdowns. He also put up 132 against Michigan State, 219 against Iowa and 307 against Rutgers. He’s put up massive numbers in some tough contests this year. He has the size, the breakaway speed. He can play tough and run up the gut, but he’s also a playmaker in space. I suspect someone is going to draft this guy in the top two rounds. He has a pretty interesting backstory too. He was born three months premature and given a 20% chance of surviving. He comes from a close family and seems like a level headed guy. There’s no ego here. He’s a former three-star recruit. Coleman’s one to monitor with or without all the Marshawn Lynch speculation. Feel free to use this as an open thread for any observations you want to make watching college football this weekend. I’m watching Mizzou @ Tennessee, USC/UCLA is on record. The Arizona Cardinals recorded one of the big shocks of the 2013 season when they won in Seattle in week 16. It caused a lot of panic at the time. The Seahawks were supposedly unbeatable at home. At least the 2013 version of the Seahawks. They’d come through a couple of toughies (most notably against 0-7 Tampa Bay) and destroyed contenders like San Francisco and New Orleans. Then the Cardinals rocked up and gave Seattle a bloody nose. They made the Seahawks look average. They harassed Russell Wilson with creative blitzing. They survived four interceptions by Carson Palmer. They had a little luck (well, a lot of luck actually). But they earned it. They deserved the win. You could easily say it was the catalyst for their current success as a 9-1 runaway leader of the NFC West. That win at Century Link was the moment Bruce Arians’ Cardinals made a statement. They were the real deal. My lasting takeaway from that game is the point I want to linger on today. The receivers. Despite all the blitzing and controlled chaos up front, Seattle had opportunities. And they’ll get them again on Sunday. The Cardinals want to attack you and keep you guessing. They’ll gamble to bring extra pressure because they back their secondary to work 1v1. They have two top-tier cornerbacks, competitive roaming safety’s and a new hybrid safety/linebacker from Washington State. They’ll give you the looks you want. And they’ll dare you to execute. In week 16 last year Seattle’s receivers had a nightmare. They dropped passes. They couldn’t get up open in man coverage. They constantly got a hand to the ball, only to fail to bring it in. The usual shots that came off during the regular season were missing. They were as rattled as Wilson trying to deal with the blitz. If the Seahawks make 2-3 extra plays on offense in that game, they probably squeeze by. They didn’t. A growing criticism this year is the performance of the wide receivers. Good enough last year, the group suddenly looks a little more “pedestrian” without Percy Harvin, Golden Tate and Zach Miller. Doug Baldwin and Jermaine Kearse are good players. But neither provides a mismatch in single coverage, wherever they line up. Neither are they adept at just finding a way to get open. With Seattle’s passing game being naturally conservative, Wilson has always played with an element of caution. He doesn’t throw into too many tight windows — and I suspect he’s told not to. On Sunday he’s not only going to have to take some chances after a quick, decisive read — the receivers are going to have to make plays. (I also think this isn’t a game for Wilson to get cute calling audibles. It’s still an area of his game he can improve. This is all about working your protections and finding the soft spot where you can make a quick throw. If he thinks too much he’s going to get hammered — and it won’t be the offensive line’s fault. If you bring six or seven rushers against five linemen… you do the math). It’s actually a great opportunity for Baldwin and co. to do what they do best — prove people wrong. At a time when we’re all saying this team needs a big target or better talent at receiver/tight end — what a chance to go and prove it’s not quite the critical need. Let’s hope they get it done. Seattle needs a win and this is the time to deliver. I’m not sure it’ll change too much in terms of the off-season, but this is about now. Obviously they were banking on Harvin being an X-Factor and there’s little point re-hashing the impact of that calamitous trade. This is what they’re left with. If the Seahawks want to keep their season alive and beat Arizona on Sunday, the receivers have to do better against this scheme. They have to make plays. I watched the Cardinals beat Detroit last weekend and it’s a classic example why this could come down to the passing game. Matt Stafford had very little time to think, but when he did take shots down the field even the great Calvin Johnson wasn’t winning many battles with Patrick Peterson. Megatron had five catches for 59 yards. Golden Tate had two catches for 41 yards. Stafford completed just 18/30 passing for 183 yards. Arizona strangled the big plays downfield, made Stafford uncomfortable with the blitz and demanded he made take chances into tight man coverage. The receivers struggled to compete. As much as Arians deserves endless praise for a sensational coaching effort (not to mention dealing with a series of injuries — particularly at quarterback), Todd Bowles’ defensive scheme is a winner. He should be the hot candidate for Head Coaching jobs in the off-season. And yet you kind of expect him to stay put — new contract in hand. He’s got a good thing going here. He could probably even replace Arians down the line. His scheme is terrific and matches perfectly with the talent at his disposal. They blitz perfectly and they’ve got the talent in the back end to challenge 1v1. It’s brilliant. Simply brilliant. As well as Seattle’s defense played at times in 2013 — this Cardinals unit might be even better. The Seahawks brought in big name pass rushers to take the final push to a Championship. This Arizona defense has been crafted meticulously and appears to rely less on individuals. They’d be an easy team to root for if they weren’t in your division. Any fan watching the playoffs from the outside will probably rally behind the Cards. And they’re doing it all without several key defensive players — including their best pass rusher last year (John Abraham). They’ve developed into the team to beat in the NFC West, overtaking the rival Seahawks and 49ers. For Seattle to match up to this scheme — they have to be more dangerous at receiver. They need to make Arizona think twice about blitzing. Do you think they’ll have any hesitation to throw the house at the Seahawks on Sunday? Sadly not. They aren’t going to worry about getting burned by this group of receivers in man coverage. Unfortunately, despite all the attention paid over the last two years, the Seahawks are going to have to zone in on receivers again (in the draft or free agency). Kevin Norwood may well develop into a player to combat the Cards’ physical scheme. But right not he’s on the periphery as a 25-year-old fourth round rookie. And while a softly-softly approach is fine for any first-time receiver, it’s worth noting he’ll be nearer 30 than 20 during the 2015 season. He’s already at the age where you’d expect him to hit his peak. If there was ever a time to test Paul Richardson’s deep speed, this might be it. It’s harder to use press-man coverage if you’ve got a guy who can fly. If he can mix it up at the line and get deep this could end up being a coming out party for Richardson. It’s a big if, but it is about time Seattle’s top rookie joined the other receivers making a splash this season. When it comes to the time to add that needed receiver (or receivers) in the off-season, the options aren’t unlimited. As we discussed earlier in the week, nobody should expect Dez Bryant or Demaryius Thomas to make the market. It’s more likely a top tight end like Julius Thomas or Jordan Cameron gets free — but Thomas has only had two productive years with the ultimate passing offense and Cameron has major concussion issues. Cleveland’s incredible cap situation would allow them to franchise Cameron on a prove-it one year deal and still do whatever else they want in free agency. The draft has a few options but the depth isn’t anywhere near last year. Are the Seahawks prepared to take a receiver with their first in the draft for the third straight year (counting Harvin)? Especially with so much pass rush talent available — not to mention the possible need to replace Marshawn Lynch (more on that later)? I’ve not studied Duron Carter (see video at the top of the piece) that much because the access to full CFL game tape is non-existent. Jason La Canfora says Seattle are showing interest, but so is most of the league. It strange to say this about a troubled CFL project, but he might be their best bet. He has the size and the potential. He’s available. He has the bloodlines. And with limited options elsewhere he could be provide some much needed help. If La Canfora’s report is accurate, the Colts are favorites to land Carter. It could take an All-Pro recruiting job by Carroll to change that — one we know he’s capable of. On the one hand you get to go and play for a prolific Indianapolis passing offense and one of the best pure-passing quarterbacks. You’ll get stats and opportunities. Or you can play for a run-heavy offense, maybe get 2-3 targets a game and by the way, your Dad had a very public war of words with potential team mate Doug Baldwin. It’s not looking promising is it? Still, perhaps Seattle would provide a quicker route to a starting role. Indianapolis may re-sign Reggie Wayne. They have T.Y. Hilton and two productive tight ends. They brought in Donte Moncrief to develop. They have other options too. The Seahawks can at least offer Carter the chance to compete to be an immediate impact player. It’d be down to him to prove he’s ready to make the most of his potential, after a torrid college career (something La Canfora touches on). Carter can officially start working out for teams next month, but he’s not permitted to sign any contract until February. Carroll (2 of 2): …We'll be thrilled to have him (@MoneyLynch) playing for us next year. We'll do everything we can to get that done." On first glance it all looks positive. Carroll “wants” him to stay as long as he can play. Then you look a little closer. “We’ll do everything we can to get that done.” What needs to be done? He’s under contract. They can afford his salary in the aftermath of the Harvin trade. It hints at perhaps a concession on Lynch’s behalf, possibly in terms of not asking for more money again. At the very least it shows something needs to happen to get it done. It’s no foregone conclusion that he returns, unlike other key players under contract for next season. That’s a little different than simply denying the story and saying he’ll be in Seattle. It’s an admittance that something, whatever it may be, needs to happen for it to come off. The answer offers hope and takes it away in equal measure. The door is left open for a return — and yet reports saying he’s done in Seattle weren’t totally ruled out. At a time when the Seahawks are facing up to possible repair work to the defensive line and receiver, it’s still hard to work out how they can move on from their very best offensive player. A player so crucial to the identity of this team. A player some would argue they cannot afford to lose. The Seahawks know they need to acquire a big receiver. That’s why they reportedly contemplated a trade for Vincent Jackson. It’s why they also supposedly contacted Denver, Cleveland and Indianapolis to ask about Julius Thomas, Jordan Cameron and Coby Fleener respectively. Whether it’s a tight end or a big bodied wide out, they need to give Russell Wilson a player who can create a mismatch. Whether that’s over the middle running the seam or winning at the red line. It’s an absolute must for 2015. Nobody should expect Dez Bryant or Demaryius Thomas to hit the open market. It’s also unlikely Julius Thomas and Jordan Camerson reach free agency (the franchise tag at TE is favorable, Cleveland also has millions in free cap space). It could leave the Seahawks in a bit of a situation. Either make another trade or turn to the draft. There aren’t many 2015 eligible receivers with size. Amari Cooper is 6-1. Kevin White is listed at 6-3 but on tape looks like a solid 6-2. Devante Parker is 6-2, Rashad Greene 5-11 and Jaelen Strong looks 6-2 as well. The Seahawks don’t need 6-2. They need bigger. Devin Funchess is 6-4/6-5 and about 235lbs. He’s played tight end and receiver. He could be an option based on pure physical potential. He’s inconsistent on the field, however. So was Eric Ebron and he ended up in the top ten. There’s every chance Funchess will go earlier than people expect if he tests well at the combine. Dorial Green-Beckham (6-5, 225lbs) could turn pro without playing a snap at Oklahoma — but you have to wonder how much interest he’d generate in the modern NFL given his background at Missouri (including domestic abuse). As you can see the options aren’t great. I don’t necessarily expect the Seahawks to spend their highest pick on a receiver for the third year in a row (Harvin ’13, Richardson ’14). If they do wait until later, Duke’s Issac Blakeney could be one to monitor. He’s 6-6 and 220lbs and has room to add more muscle without suffering any consequences in terms of speed. He’s very raw technically — he doesn’t high point the football and has a tendency to body catch. He doesn’t set up his routes particularly well and gets himself into awkward positions, creating difficult catching angles. He’s not a plug in and play receiver — which is kind of what Seattle needs. But they can’t force the situation and if it means playing the slow game with a guy like Blakeney — what choice do they have? It’s no real surprise he’s raw. Duke spent years trying to work out his best position. He started at defensive end before spending time at safety. He then moved to offense and played tight end and slot receiver. It took four years — his entire time in college — to work out he’s best as an outside receiver. That’s a lot of wasted snaps and development. The plus side is he’s incredibly difficult to cover. Look at the touchdown in the second video vs Syracuse and fast forward to 2:37. The quarterback loops one up for grabs in a 1v1 situation. The cornerback does a good job in coverage — he’s water tight on the receiver. And still Blakeney goes up and gets the football, destroying the corner and walking in for a touchdown. Seattle needs a guy who can make a play like that. He appears to have long arms and he’s lean — he’ll have a fantastic catching radius. He looks like he could run in the late 4.5’s and if not — he’s a solid 4.6. He has enough speed to get downfield (see 1:46 in the Troy video). He’s not going to be a high pick but he’s a decent project. He’s also a well-spoken, intelligent player. Devante Parker and Devin Funchess are awkward during interviews, particularly Parker. There’s a temptation to read too much into stuff like this, but the Seahawks favor sparky, competitive players. They don’t mind outspoken. There are very few shy and retiring members of Seattle’s roster. Blakeney could be an option for the Seahawks. You can watch Blakeney & Duke vs North Carolina on Thursday night. This could be the future of Seattle’s offense. Or maybe not. It depends what you want to believe. The whole ‘Marshawn Lynch could be released’ dynamic still confuses me. Chris Mortensen and Ian Rapoport aren’t just random journalists trying to make a name here. The chances are there’s a fire at the heart of all this billowing smoke. Nobody’s reported the opposite have they? Nobody’s denying anything. It was a rare moment where Carroll let his media guard down. Not in a bad way. He’s adept at the ‘saying a lot without really saying anything’ approach all good coaches master. This was the real deal. As close to an admittance of some tension as you were going to get. And even then he made a point to add they’ll do their best to work through it this year. But what about next year? That’s the key. There was certainly no denial here. No insistence that Lynch isn’t going anywhere. And considering he’s under contract for 2015 and still a fantastic and productive feature for the offense — it was an easy thing to say. “He isn’t going anywhere”. That reassurance never came. So we go on wondering what the future holds. The reality is you better savor every one of those two yards runs that end up going for six or seven. You better enjoy those formal handshakes with the offensive line in the end zone. You better live through these six games because after that Beast Mode might be “all about that action” elsewhere. It’s still unthinkable right now, especially with the way he’s playing. You hope there’s a way to make this work. Surely there has to be? Why would you cut your best offensive player, creating an extra hole that’d need to be filled? Yet we’re forced to dwell on this possibility every week because it keeps racing back into our lives — usually in the form of a national media report hours before the latest game. As we’ve said on more than one occasion now (and I appreciate it’s stating the obvious) — replacing him won’t be easy. You’re making up for more than just the loss of a top, elite running back. You either need to put another really effective back in his place, or you need to bolster that passing game and bring in 2-3 players to compensate. Hey — they might need 2-3 players anyway. It’d be foolish to expect Russell Wilson to perform miracles with a new contract worth around $20m a year. He’s lost Golden Tate, Percy Harvin and Sidney Rice this year. Throw the loss of Zach Miller into the equation too. He needs more at the receiver and tight end position. The Seahawks need to get back to winning the red line and challenging their receivers to make plays. For that they need the bigger bodies, they need a vertical threat too. They have to hope Paul Richardson and Kevin Norwood develop — they also have to find more options in the draft or free agency. Even after some surgery to the passing game, you’d be left needing to restore the balance and maintain your running identity. And that’s why Melvin Gordon remains a distinct possibility for the Seahawks in round one. At USC Carroll used a committee approach filled with 5-star recruits at running back. In Seattle, you get the sense they’ll only ever be as good as their top running back on offense. I think this probably becomes a one-horse race in that regard. Todd Gurley is a fantastic player but an ACL injury this late in the season will almost certainly mean no combine or sufficient work out pre-draft. He could sneak into the back end of round one but it’d be a good team taking a gamble. After a couple of so-so drafts and the botched Harvin trade, I’m not sure the Seahawks can afford to start taking first round risks on an injured running back. I pondered Gordon’s stock last night and still feel, even despite Gurley’s injury, a grade in the 16-32 range is fair. It’s a deep class and teams won’t feel totally pressured to go big at the position early (unless they’re trying to replace Marshawn Lynch, of course). It’s not beyond the realms of possibility Seattle ends up picking in the late teens — even if we hope it’s much later. That would put them in a good position to target Gordon. The video above shows his record breaking 408-yard performance against Nebraska. As you can see, he’s a very different back to Lynch. He’s a lot closer to Jamaal Charles in style. There’s no dragging a defender an extra yard or two or a punishing stiff arm to extend a run. That has been Seattle’s staple for four seasons. Gordon will not replicate that wherever he lands in the NFL. However, find him a lane and he’ll explode through it. Seattle has gone out of its way to draft run blocking offensive linemen. They’re good at it too. You can imagine Gordon playing for the Seahawks and having a lot of runs in the 0-2 yard range before breaking off a 40-yarder. He’d be a home run hitter and a chunk play specialist. He wouldn’t be a punishing inside runner. It would be a very different offense. But different doesn’t necessarily have to be a bad thing. It’s still early and this topic doesn’t appear to be going anywhere. Have a look at Gordon vs Nebraska for yourself and let me know what you think in the comments section.